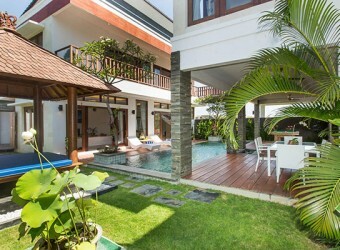 Bali Hotel Club B residence located in Canggu area where most upcoming popular spot by foreigner. The villa just infront of Canggu club. Also easy access to deli and popular restaurant in walking distance. There is swimming pool and gazebo that make you feel tropical holiday while you stay there. You can see the endless rice field from 2nd floor balcony too.